SWEET CORN SEEDS-var sweet corn 705. 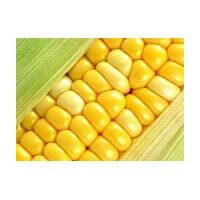 We are occupied in providing the finest variety of Sweet Corn Seeds to buyers in the market. We are the most sought after Breeder, Producer and Supplier of SWEET 705 Corn Seeds. Our seeds result in crop of high nutritive value, higher sugar and higher shelf life. We are appreciated by our previous clients for our excellent packaging technique that ensures minimal damage during shipments. We make available the Sweet Corn Seeds as per client’s requirements.